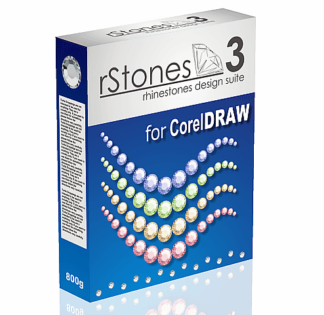 rStones 3: the most awesome rhinestone design tool for CorelDRAW! Upgrade notice for rStone 1 & 2 users: If you have never before sent in a system ID for your rStones 1 or 2 purchase, then you can update to version 3 for free. Contact me about that, and include your name and invoice number. 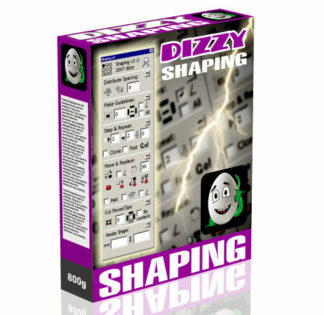 Users who bought 4-pack version of rStones 2 – update to version 3 for free with any unused system ID’s. Contact us about that, and include your name and invoice number. This item is the single system version. Click here for the rStones 3 “Four Pack” for more than one system. If you had bought rStones 2 or earlier versions before Sept. 1/2014, go here for the upgrade version. NOTE: This macro will only run on one machine. This means if you buy the macro now, and want to run it on a brand new machine or a different machine after receiving your first activation code, you must buy it again. Think carefully about which system you want to run it on before sending us your system code. Activation data is based primarily on serial number of your system’s logical Hard Drive “C:\”. Any manipulation with this disk (Formatting, or physical replacement) will lead to lost activation, requiring you to make a new purchase. Click Here for more details about rStones!